Several days ago, a friend introduced to me to Blue Bloods. Not the book , but the TV show. I have watched the first few episodes, and I have grown to like it very much. 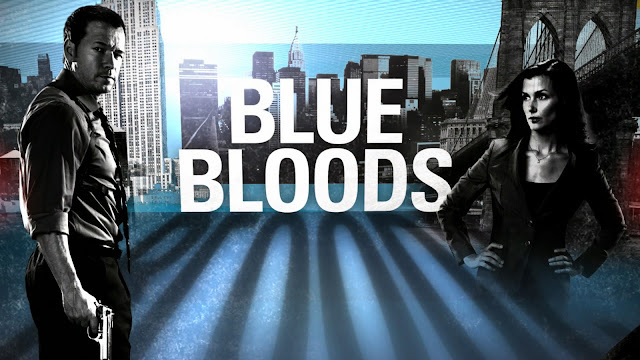 Blue Bloods is a bit different from other police procedurals I have seen lately. It does not have over the top technology or animated laboratory works. It does not have dialogue scripted with seldom used police jargons to attempt a sense of reality. What is does have however, is a good cast headed by Tom Selleck, hard grit and a good amount of valor. The show revolves around the Reagan family. Dad, Tom Selleck is Police Commissioner of New York. His sons Danny is an NYPD detective and Jamie is a rookie police officer fresh out of the academy. Daughter Erin is an Assistant District Attorney. Together they work to make a difference and put the bad guys away, while trying make sense at the dinner table, which does not always go as planned. As this is the start of the show, a few plots are being set up across the season. While the family is mourning the loss of their brother in an undercover operation, FBI wants to recruit Jamie to investigate a secret club in the Police Force called the Blue Templar. Apparently, the some of the Reagan family are members of the club. Erin is going through a hard divorce and learning the ropes as a single parent. Their grandfather, who was the former police commissioner, now retired, watches over the family and advices them based on his numerous decades of service to the fine city of New York. Danny does not always stick to the book or rules, but his heart seems to be in the right place. He walks a fine line. His talk, routines, and "enhanced interrogation" techniques makes me think about Jack Bauer. A little too much, actually. It is a good show. A fresh police drama with a good cast, good dialogue and a few good action scenes. Recommended. your welcome!! , im glad you like it.